The chair it sells has a long history and a story so interesting you could write a whole book about it. So that's exactly what the retailer of an American-built, executive-style chair decided to do. 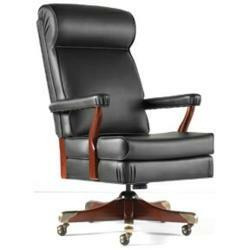 History Company offers a broad range of products with connections to history, including several pieces related to the American Presidency and the White House, most notably the Oval Office chair designed and engineered in 1960 for President John F. Kennedy. The book, "Executive Privilege: The Amazing True History of the Oval Office Chair," just published by History Company, is intended to engage potential buyers in an unexpected and unconventional way. Copies of the 64-page book are offered for free at http://www.historycompany.com or may be requested by phone at 1-800-891-0466. "The classic high-back chair is built in Wayland, New York, by the Gunlocke Company, faithful in every detail to the White House original," explains Jeffrey Turback, spokesman for History Company.